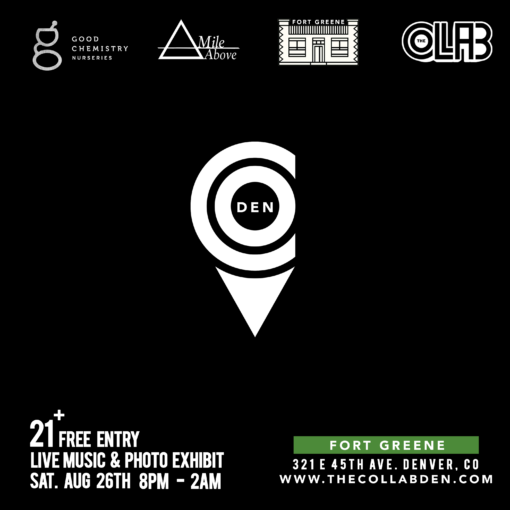 Good Chemistry and the The Collab.Denver are presenting a fun evening of art and music at Ft. Greene to benefit the Burnes Center on Poverty and Homelessness. The evening will be a creative art experience featuring local artists from the city of Denver using the #amileabove to display their artwork and talents. The event will showcase over 50+ photographers photos. All prints will be on sale for $25 each. Proceeds with be donated to: Burnes Center on Poverty and Homelessness. TYLER WYATT DJ POLYPHONI TAIJITU STEVIE G.